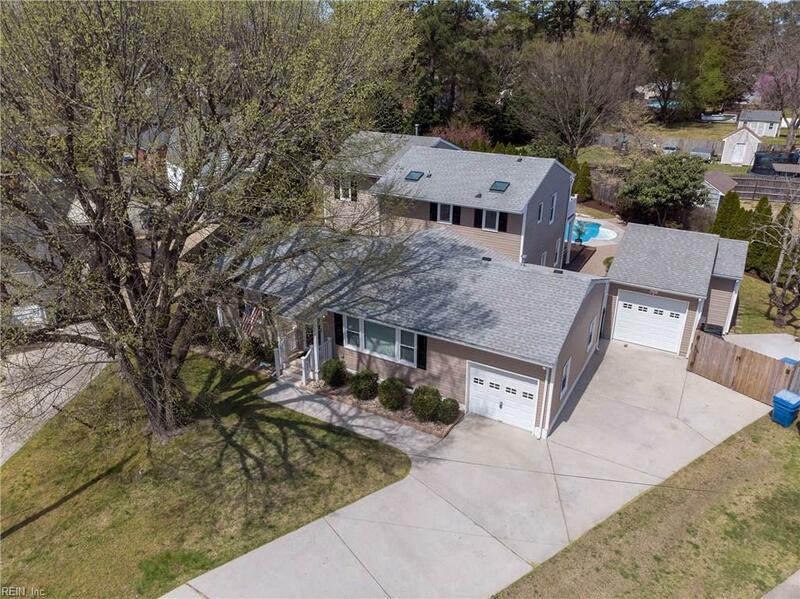 912 Neptune Ave, Virginia Beach, VA 23464 (#10250467) :: Abbitt Realty Co. 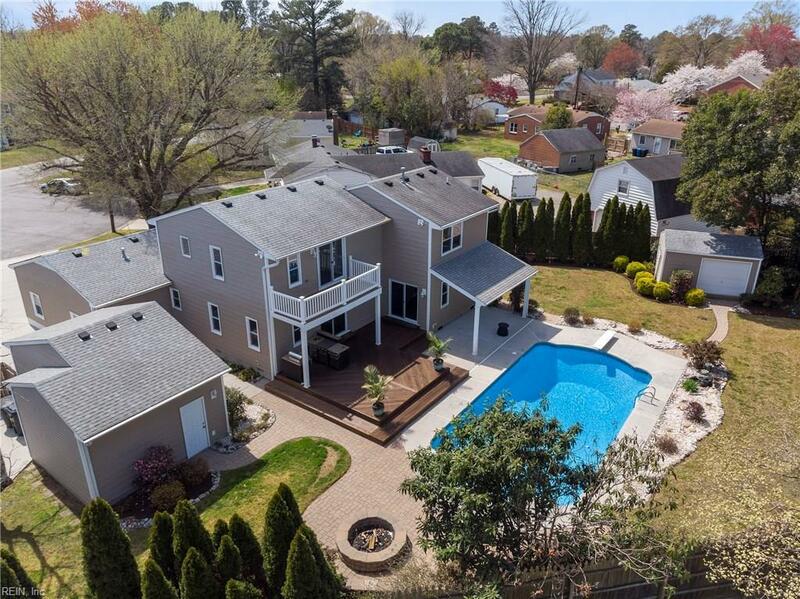 This stunning 5BR / 4.5 BA home has everything you need and more! New carpet upstairs & freshly painted throughout. First floor has 2 bedrooms (one w/attached full bath) & 2.5 baths. Remodeled kitchen opens to the spacious family room. Impressive 17 x 234 bar/entertainment room w/2 wine coolers plus 4ft under cabinet refrigerator for your favorite beverages & ice machine. Luxurious master suite has large walk in closet + deck overlooking backyard. The en suite bath features a 72 x 42 jetted tub, plus tiled shower (2 shower heads) & dual sinks. The fenced backyard is an entertainers delight! 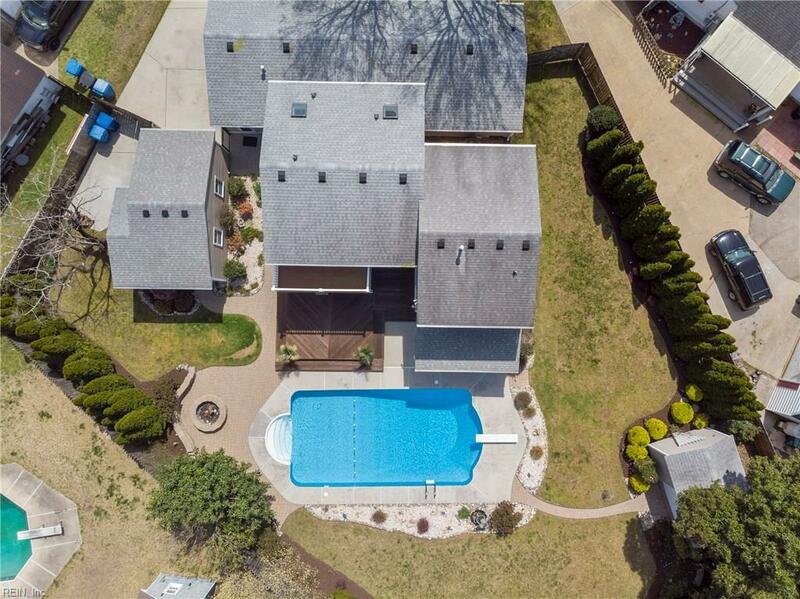 Heated 18x35 inground salt water pool (3 yr old liner) plus 2 fire pits(1 wood, 1 gas), outdoor grilling area + sink, speakers, fountain & 16x 114 garden shed. Attached garage plus detached garage thats insulated & heated & cooled + floored attic. 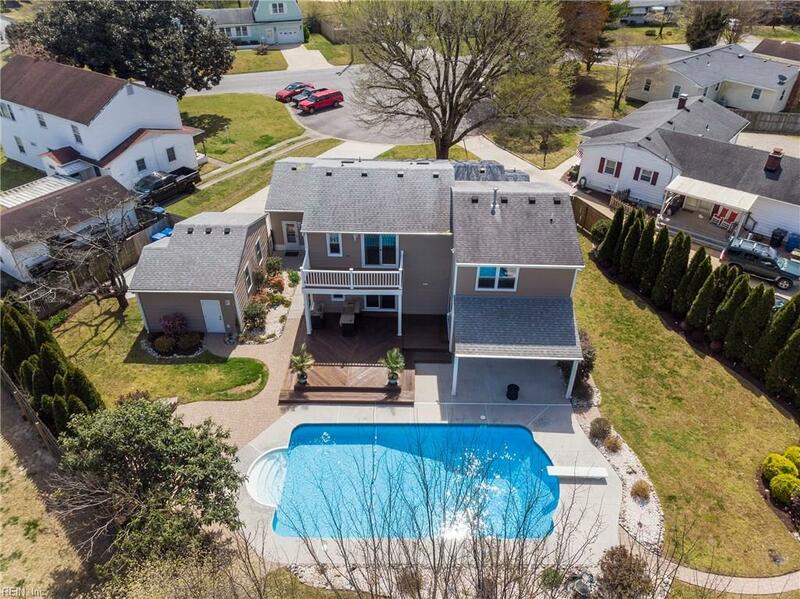 Home has been meticulously maintained and has too many extras to list! Pictures dont do it justice. Truly a must see!